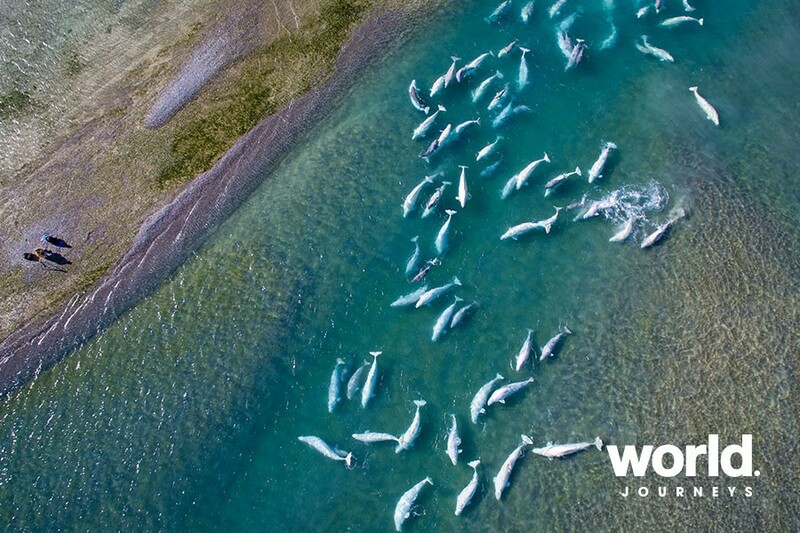 Spend a few days exploring the Canadian Arctic at this unique wilderness lodge and world-class beluga whale observation site on Somerset Island in Nunavut, Canada. Situated 500 miles (805 km) north of the Arctic Circle, the lodge offers guests fully guided opportunities for diverse adventure activities, and extraordinary polar photography thanks to 24 hours of daylight. Observe the elusive musk ox, polar bear and more wildlife in their natural habitat and enjoy comfortable accommodations and superb food, all accessible via a scenic flight from Yellowknife, Northwest Territories. Day 1: Yellowknife, Northwest Territories Enjoy a night in Yellowknife and meet your fellow travellers at a welcome expedition briefing. Receive your waterproof expedition boots (on loan) and receive your Quark Expeditions parka. 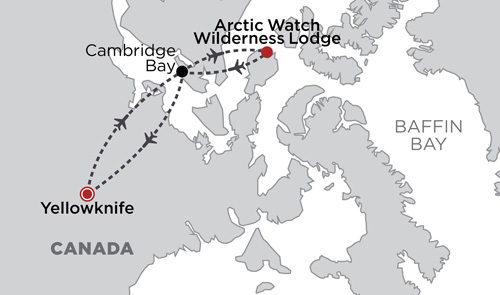 Day 2: Yellowknife and Arctic Watch Wilderness Lodge Today, board our private chartered plane to fly the 1,000 miles (1,500 km) to the Arctic Watch Wilderness Lodge. During the four-and-a-half-hour flight, you'll pass over the treeline as you cross the Arctic Circle. Following a refueling stop in the community of Cambridge Bay, you'll circle above Cunningham Inlet. Enjoy aerial views of the lodge below, before landing on the private airstrip on Somerset Island. 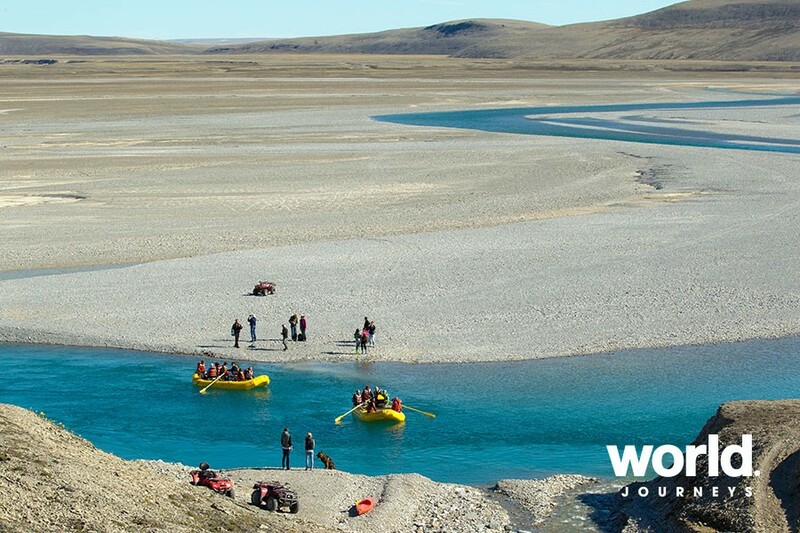 A short walk across the tundra- and an even shorter raft ride across the Cunningham River- will bring you to the lodge. After a tour of the facilities, you'll be escorted to your cabin. Upon settling in, meet your hosts for a safety briefing and overview of the exciting activities and options ahead. Day 3: Arctic Watch Wilderness Lodge, Somerset Island, Nunavut After a hot breakfast, a typical first morning at the lodge may include receiving a hands-on introduction to driving all-terrain vehicles (ATVs), which are easy and fun to operate. Later, you may take a short hike to the Cunningham River estuary to spot beluga whales frolicking in the shallow water only a few yards offshore. After lunch, there may be an opportunity for a hike to Triple Waterfalls, a five-story torrent of free-falling water. There, you can see nesting peregrine falcons and other birds such as loons, snow buntings, sandpipers and rough-legged hawks. 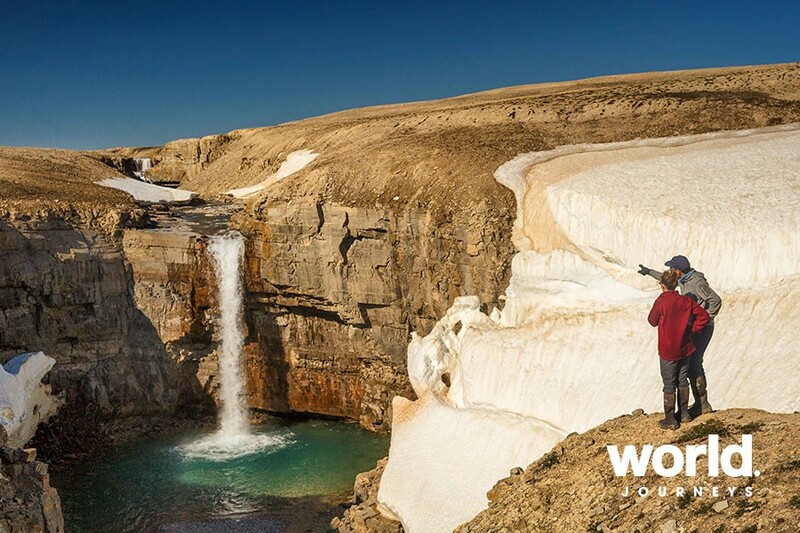 Exploring this canyon introduces you to the delicate beauty of wild arctic flowers. Encounters with muskoxen are common. During your gourmet dinner, pair your meal with a fine Canadian bottle of wine from the Northwest Passage Wine and Spirit List. After dinner, there's free time to explore in and around the lodge. The library has a broad selection of arctic and polar titles. The interpretive center contains collections of local fossils, the skeletal remains of arctic fauna, and a collection of traditional Inuit clothing from Canada, Greenland and Siberia. Day 4: Arctic Watch Wilderness Lodge One of today's activities may be kayaking in Cunningham Inlet. 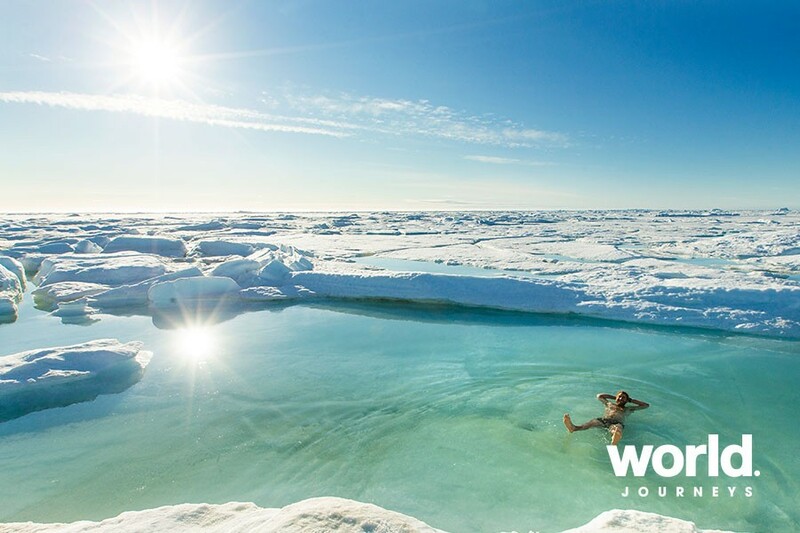 Paddle among icebergs, looking out for beluga whales as well as ring and bearded seals. Sightings of seabirds, including arctic terns and eider ducks, can be expected. After a lunch served along the shoreline, you'll take a short hike to explore a local canyon aptly named Kayak Falls. 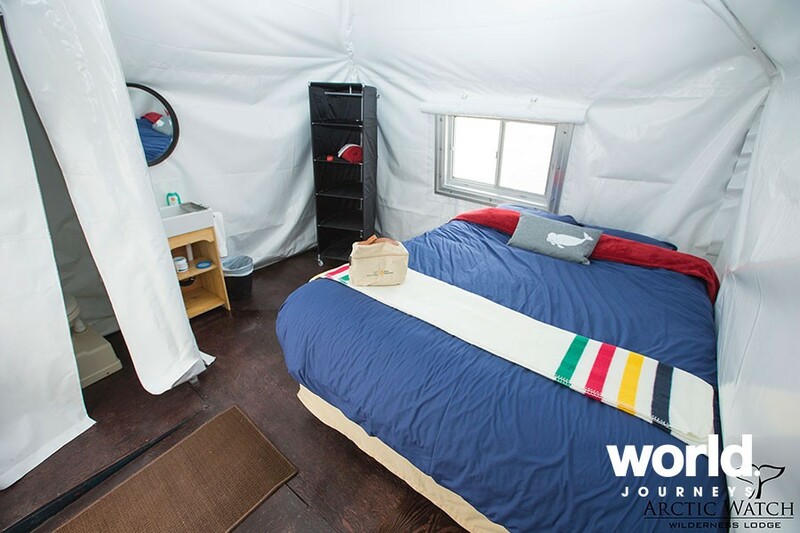 From there, you'll enjoy stunning views of the Northwest Passage and the opportunity to see polar bears. In the afternoon, you'll return to the Cunningham River estuary, a beluga whale migration site. 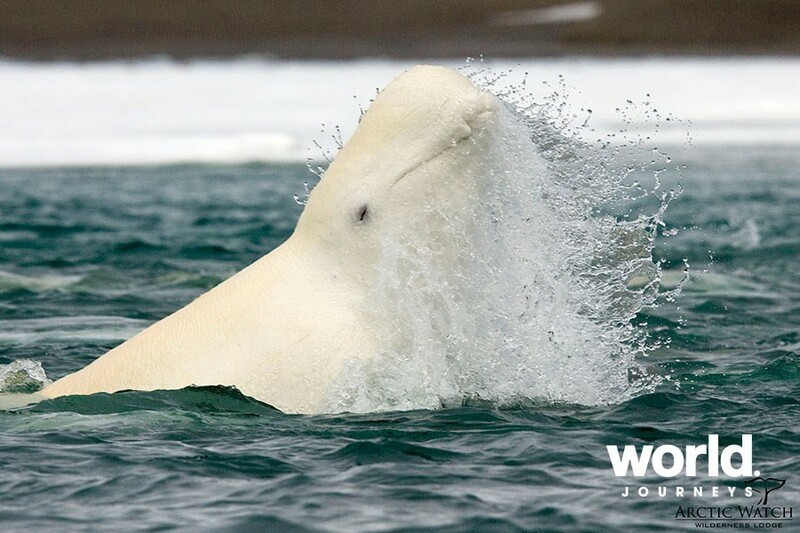 This site is unique the world over because of the density of the beluga population and its proximity to our lodge. You may even be able to see the whales while you stand on the river banks, and be close enough to hear their calls. Guides will use hydrophones so you can also hear the whales' underwater song. In the evening, following a five-star dinner, you'll hear a lecture on the beluga research being conducted in Cunningham Inlet. Day 5: Arctic Watch Wilderness Lodge Following breakfast, you'll depart for a trip to Flatrock Falls, crossing the Cunningham River delta. There, you'll have the option of hiking or traveling by Mercedes Unimog (a multipurpose four-wheel-drive truck). You'll visit the Somerset Island canyons, formed as the result of shifting fault lines. Their steep walls vary from 200 to 1,000 feet (61 to 305 meters). Millions of fossils of prehistoric plants and animals are scattered around the ground. You may also have the opportunity to observe nesting sites of local birds, including terns, plovers and snow geese. An alfresco lunch is served directly on the flat rocks that surround this canyon. After lunch, you'll travel to Gull Canyon, where you can see the striking color contrasts between the barren canyon and a lush gull rookery. This spot was recently declared a unique ecosystem by the Canadian Wildlife Service due to the area's gull rookery and the presence of peregrine falcons. In the evening, a Scientist in Residence will give an informal lecture. Day 6: Arctic Watch Wilderness Lodge Today's full-day rafting adventure will begin after breakfast with a Mercedes Unimog truck ride to the Arctic Watch raft launch on the Cunningham River, 12.5 miles (20 km) from the lodge. Opt to hike the final four miles (6 km) through the Badlands, passing the skeletal remains of two bowhead whales that date back 8,000 years. 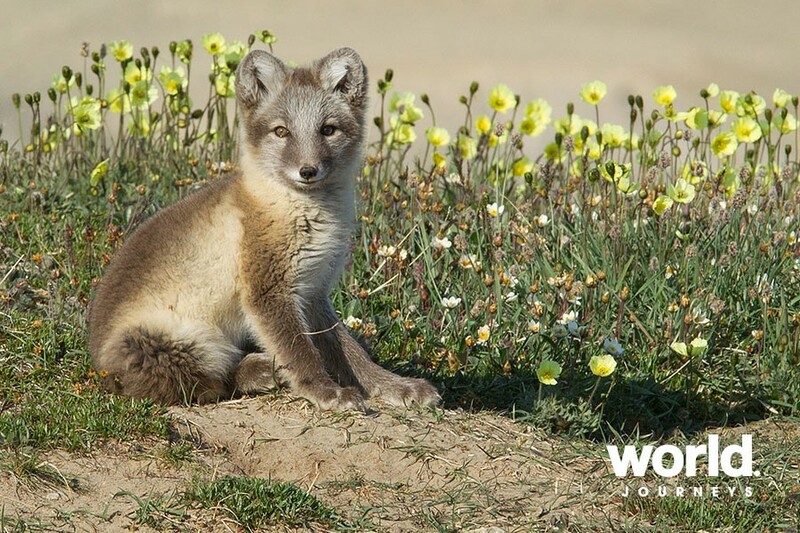 On the way to the launch, you may encounter muskoxen, snow geese, jaegers, arctic fox, sandpipers and rough-legged hawks. Tonight, you'll enjoy our farewell dinner and evening at Arctic Watch Wilderness Lodge. Day 8: Depart Yellowknife - 8 Day Tour After breakfast and boot return, you can make your way home at your leisure or spend some more time in the Yellowknife area. Day 7: Arctic Watch Wilderness Lodge - 10 Day Tour Today, you'll set out on an ATV to Cape Anne, where you'll visit some Thule sites along the coast and look for polar bears. The Thule people were bowhead whale hunters, ancestors of today's modern Inuit. The ride showcases scenic vistas, icebergs, ancient Inuit campsites and giant prehistoric whale bones. The Cape Anne Thule site is the largest in the area and includes the remains of 15 stone and bone houses. Polar bears can often be seen on the shoreline as they wander the coast, waiting for the ice to return. The return overland trip via the Red Valley will give us incredible views of the place we've called home this week. DAY 8: Arctic Watch Wilderness Lodge - 10 Day Tour Today's full-day rafting adventure will begin after breakfast with a Mercedes Unimog truck ride to the Arctic Watch raft launch on the Cunningham River, 12.5 miles (20 km) from the lodge. Opt to hike the final four miles (6 km) through the Badlands, passing the skeletal remains of two bowhead whales that date back 8,000 years. On the way to the launch, you may encounter muskoxen, snow geese, jaegers, arctic fox, sandpipers and rough-legged hawks. You'll savor a picnic lunch on the beach, beside the river, as the staff and guides prepare the rafts. Return to the lodge by raft on the swift-flowing, crystal-clear water of the gentle rapids. The views are amazing and include steep canyon walls that at one point make a 180-degree turn. Day 9: Depart Arctic Watch Wilderness Lodge - 10 Day Tour Today, you'll bid a fond goodbye to the lodge team and the High Arctic. You may have time to take advantage of one last activity before you depart. In the late afternoon, you'll return to Yellowknife. Upon arrival in Yellowknife, you will be transferred to your included hotel. Day 10: Depart Yellowknife - 10 Day Tour After breakfast and boot return, you can make your way home at your leisure or spend some more time in the Yellowknife area. IMPORTANT REMINDER: Embracing the unexpected is part of the legacy-and excitement-of expedition travel. When traveling in extremely remote regions, your expedition staff must allow the sea, the ice and the weather to guide route and itinerary details. This itinerary is a tentative outline of what you'll experience on this voyage; please be aware that no specific itinerary can be guaranteed. Book by 30 April to save 10 % and enjoy free transfers on select 2019 departures! Book and deposit by 30 April 2019, to save 10% on your land package, and receive a free transfer package valued at US$1,895 per person. Offer applies only to departures 29 June; 4, 11, 28 July and 4 August 2019, and is subject to availability. Package includes Hotel shuttle transfers on arrival and departure between airport and hotel in Yellowknife; One pre-night's hotel accommodation in Yellowknife with breakfast; Group transfer to and from charter flight to Arctic Watch Wilderness Lodge; Group flight from Yellowknife to Arctic Watch Wilderness Lodge and return; One post-night's hotel accommodation in Yellowknife with breakfast.